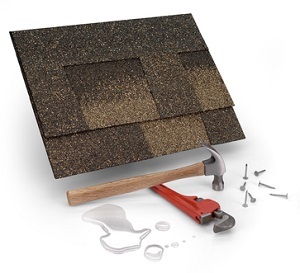 One of the biggest concerns you can have for your roof and home is a leak. This is why it is so essential to address the need for roof leak repairs - starting with proper diagnosis. This is not the type of thing that just anyone can do though. It is not just about training and experience, it is also about having the right equipment to make a proper assessment. This is where team Brian O'Donnell Quality Home Improvements comes into the picture. We utilize thermal imaging cameras to quickly and accurately diagnose even the most elusive leak entry points. This enables Brian to then provide the best possibility of a lasting repair. It can be a little unnerving, to say the least, to really find out more about your possible water intrusion as a result of leaks. The trust is, what you cannot see may be costing you money – and a lot of it. If you continue to have leaks that go undetected, this problem can threaten your home. This will impact your utility costs, negatively effect your property value and cause the repairs to only get more expensive. This is why it is so important to use infrared detection, in order to see that is not visible to the naked eye. The great news is that this is also an ideal method to use to spot other possible threats like electrical issues, energy leaks and even pests and rodents. What can you expect from our leak diagnosis? This will enables us to detect roof leaks as well as the origin. The only way to put a stop to the problem is find the cause and head it off there. This also gives us the opportunity to spot other areas that moisture may be developing or coming from. This can be quite useful if you do not have roof ventilation in place. Look for red flags that may not be a problem yet, but could soon well be! These results are then captured, documented and compiled into a report. This not only helps our roofing contractor take care of the problem, it helps you have evidence of the issue at hand. Plus, this may be necessary for verification for insurance reasons. Water Stains – If you see water stains in your attic or ceiling, this could mean that you have a leak. Water Dripping – It is usually not quite this obvious, but you may see water dripping, especially around skylights or fireplace, just to name a few. Curling Shingles – Although this is on the outside, it means something has gotten past your shingles and could very likely be causing a leak inside your home. When in doubt, it is always a good idea to have it checked out. Better safe than sorry when it comes to your roof and something as potentially dangerous as a leak. 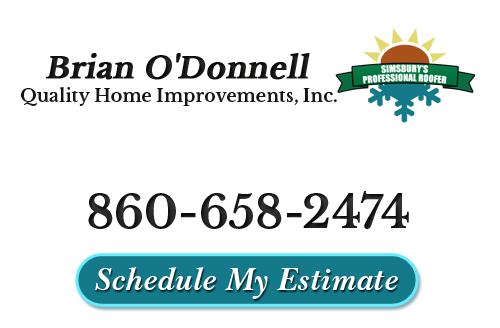 Brian O'Donnell Quality Home Improvements will be there to provide you with the roofing services and care that you need, to protect your roof and your home. We are Farmington Valley’s most experienced, qualified roofing expert, and we genuinely care about the clients that we take care of and treat you with the same level of respect that we would want to be treated with. With our infrared imaging available for those elusive leaks, you can count on us to find and remedy your roof leak problems. Give us a call today and let us address your possible need for leak detection and roof repairs in the Farmington Valley area. If you are interested in an estimate for roof leak repairs, please call our roofing contractors at 860-658-2474 or complete our online request form.